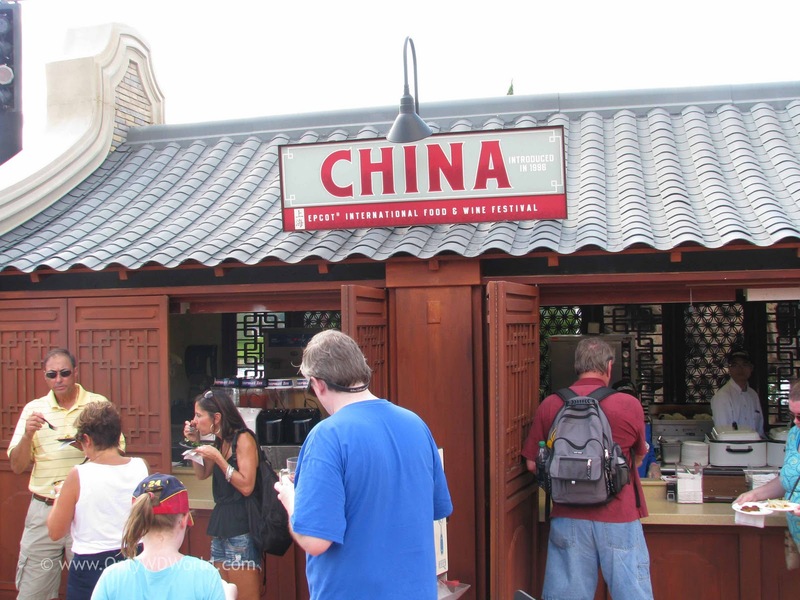 The 2011 Epcot International Food & Wine Festival at the Walt Disney World Resort is filled with a multitude of international flavors to explore through November 13. Only WDWorld is trying to help you narrow down your choices by reviewing a wide variety of the culinary samples. Today we travel to the China Marketplace kiosk to sample the Black Pepper Shrimp With Sichuan Noodles. With 27 different Marketplace kiosks and over 100 different items to try we were tempted to skip the China kiosk, feeling that we were already familiar with Chinese food, but we are glad that we didn't. 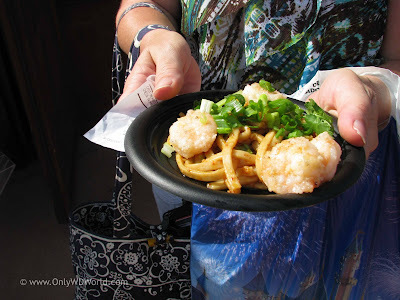 The Black Pepper Shrimp With Sichuan Noodles was one of the better food items that we tried at the Festival. Our portion came with four good sized shrimps along with a reasonably sized portion of the Sichuan Noodles, making it one of the larger portions we obtained at the Festival. Besides the quantity, the food tasted very good as well. It was different than what we would normally obtain at our local Chinese Food Take-out place, which made it more enjoyable. This was definitely a dish worth trying. 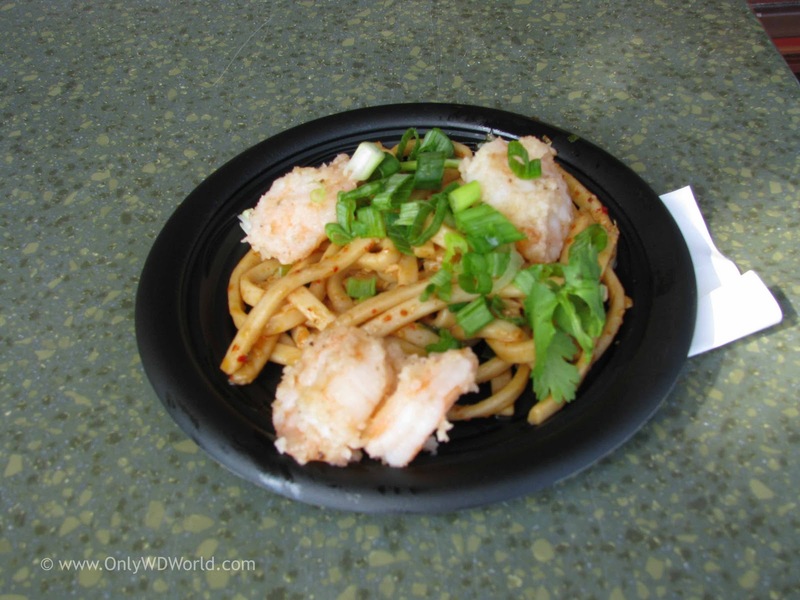 Although there is a world of tastes to explore, literally, at the Epcot Food & Wine Festival, the Black Pepper Shrimp With Sichuan Noodles is one that should be on your list to try. This was a tasty dish that was not reminiscent of typical Chinese take-out. 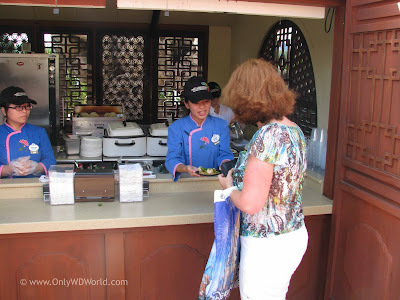 Only WDWorld would definitely recommend it! 0 comments to "Taste Of Epcot Food & Wine Festival: Black Pepper Shrimp With Sichuan Noodles"